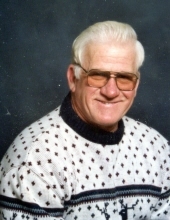 Mr. David Watts, age 81, of Rockmart, GA passed away Monday, March 25, 2019. He was born in Langdale, AL on March 13, 1938, a son of the late Johnny Watts and the late Syble Breed Watts. Mr. Watts had made Rockmart home since 1979, moving here from Alabama. He was a member of the Morning View Baptist Church and was a Veteran of the United States Navy. One of Mr. Watts favorite hobbies was buying and selling produce. In addition to his parents he was preceded in death by a brother, Jeff Watts and sister, Dot Lather. He is survived by his wife, Peggy Tate Watts of Rockmart, to whom he was married on February 25, 1983; son, David Allen Watts and his wife Jena; daughter, Sissy Irwin; four grandchildren; sister, Jennifer Hill and a number of nieces and nephews. Funeral services will be held Thursday, March 28, 2019 at 2:00 pm in the chapel of the Alvis Miller & Son Funeral Home with Rev. Jeff Hulsey officiating. Interment will follow in the New Prospect Baptist Church Cemetery. Pallbearers will include: Greg Rainey, Ricky Hulsey, Matt Garrett, Robby Camp, Donald Lester and Gary Ingram. The family will receive friends Wednesday evening from 6:00 until 8:00 pm at the funeral home. The Alvis Miller & Son Funeral Home & Crematory of Rockmart is in charge of arrangements for Mr. David Watts. To send flowers or a remembrance gift to the family of David Watts, please visit our Tribute Store. "Email Address" would like to share the life celebration of David Watts. Click on the "link" to go to share a favorite memory or leave a condolence message for the family.